“Family and friends, good evening and welcome. Thank you for joining us tonight. I’d like to acknowledge the T’Sou-ke Nation, upon whose ancestral lands we are gathered tonight. Thank you to Chief Planes and Elder Shirley Alphonse of the T’Sou-ke Nation for offering a blessing tonight. We look forward to a continued positive relationship. MP Randall Garrison has sent his regrets and best wishes to all of us. I’d also like to acknowledge our historian Elida Peers who has graciously witnessed all inaugurations, including our 7th tonight! Thank you also to Sooke Fire & Rescue – both career staff and volunteers, our local RCMP detachment and its members, District of Sooke staff and volunteers for their dedication and efforts. I wish to thank and acknowledge all candidates, families, friends, campaign teams, community organizations, media, election staff and voters for participating in the 2018 local election! Finally, thank you everyone for the privilege to serve a second term as your Mayor! I’m excited and ready for the years ahead and am truly grateful for this honour. Let’s also take a moment to celebrate our new and returning Councillors! 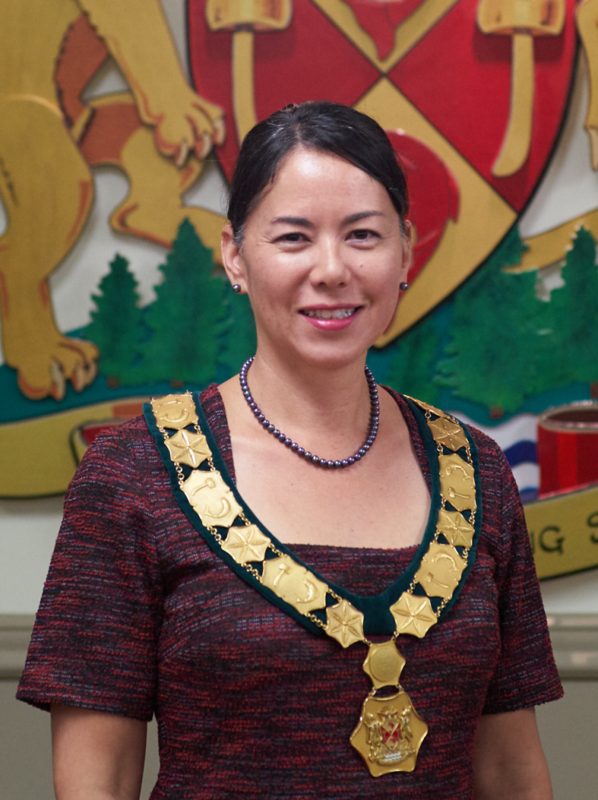 Experience, talent – all things bright and beautiful, I know you will continue to serve and represent our community well and support and mentor our new Councillors. Each of you has worked hard and gained the confidence of the electorate. There is something unique and wonderful about each of you. The number of votes each of us received mattered only on election night, from tonight and onwards, we are all here as equals. You’ve had the support of voters to get here, but now as we take office our role is to listen to and represent our community with fairness and dignity. Are you beholden to anyone? Yes – yourselves! Only you truly know your efforts, preparedness and level of active listening. Be true to yourself and you’ll always sleep well. These tasks will take all of us working together: Respecting our history and planning together so our grandchildren and their grandchildren are also proud Sooke residents. In 2019 we will celebrate our first 20 years as a municipality and look forward to a bright future. We have incredible volunteers, a thriving arts and culture scene, and ever-increasing opportunities for sport. It is timely now to take charge of our future as we come of age. We are breaking new ground, completing exciting and hard work, and realizing the potential we know that Sooke has. It is also an exceptional time to shift how we operate in local government. Municipal services will continue to evolve as we strive for service excellence to our residents, with our contractors and developers. How we govern as a Council will shape the tone of the municipality. We want our employees to be excited about the work they do, and we want the District of Sooke to be recognized as a place where people want to work, contribute, mentor, retire, and then come back to consult! Council will be busy. We have regional and local orientation sessions starting shortly, a full day introduction to our departments followed with field work – getting hands on, touring our community and our facilities together. We’ll be starting our CAO hiring process immediately, a strategic planning and service review process, establishing committees and regular community engagement. Together, with courage and determination we can step forward and boldly go where no Sooke Council has gone before!